Delevery was prompt and everything was in order. FAST SHIPPING, A+ SELLER, I WOULD DO BUSINESS WITH AGAIN! It arrived really quick, didn't even check tracking twice. This power supply is definitely good for what I need it for. 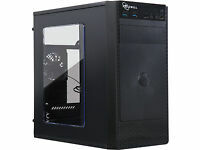 I have a bit of an older gaming PC (didn't start as such but was modded into one) that I'm nursing along until I upgrade. 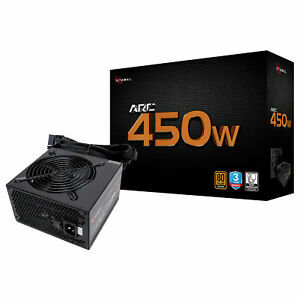 The power supply died on me the other day and so I ordered one of these Rosewill ones. I must say, I do like it. It looks more aesthetic than the old one, the fan is larger, it's quieter, and it has better power output. I can't tell you how relieved I was after getting this hooked up and my computer powered on with no hiccups. It comes with the power supply, a cable, mounting screws, and zip ties. The only thing I would suggest them changing is the zip ties. I have large hands and the small zip ties are hard for me to handle. Awesome product overall. 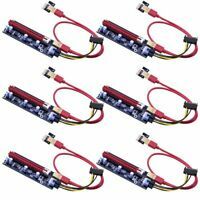 Only have one 8pin pcie cable which works fine for me. For those who have better gpu, this power supply may not have enough cables. It works well.